The new agreement runs until 2019, and will see installations in Germany (of course), and 9 other nearby nations as well. The financial details of the deal have not been publicly disclosed. “The StreetScooters of Deutsche Post can charge up at a station from Innogy specifically designed for them,” explained Martin Herrmann, the chief operating officer or the retail division at Deutsche Post DHL, in an interview with Reuters. 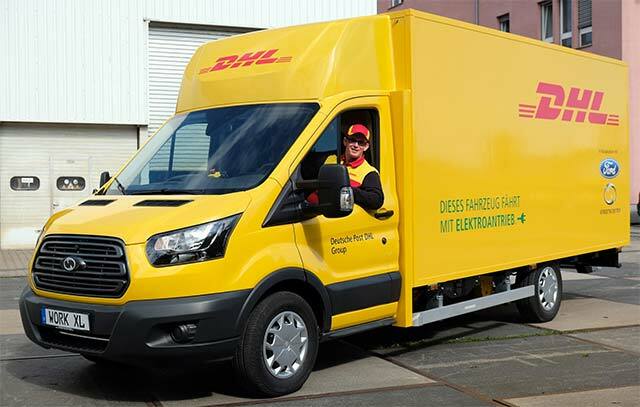 “To ramp up production, Deutsche Post in October said it was building a second StreetScooter electric minivan factory in Dueren near Cologne as it doubles capacity to sell vehicles to third parties…Along with an expected pickup in demand for electric vehicles, Innogy hopes services that go along with it will increase its sales and profit in the fiercely competitive energy retail market. In related news, Innogy also recently announced that it had come to terms with the Italy-based firm “Be Charge,” and that plans were now in the works to install 1,000 new EV charging stations in the country as a result. So, overall yet more good news for those who like to watch Volkswagen (potentially) lose market-share…We’ll keep you posted as the situation further develops.